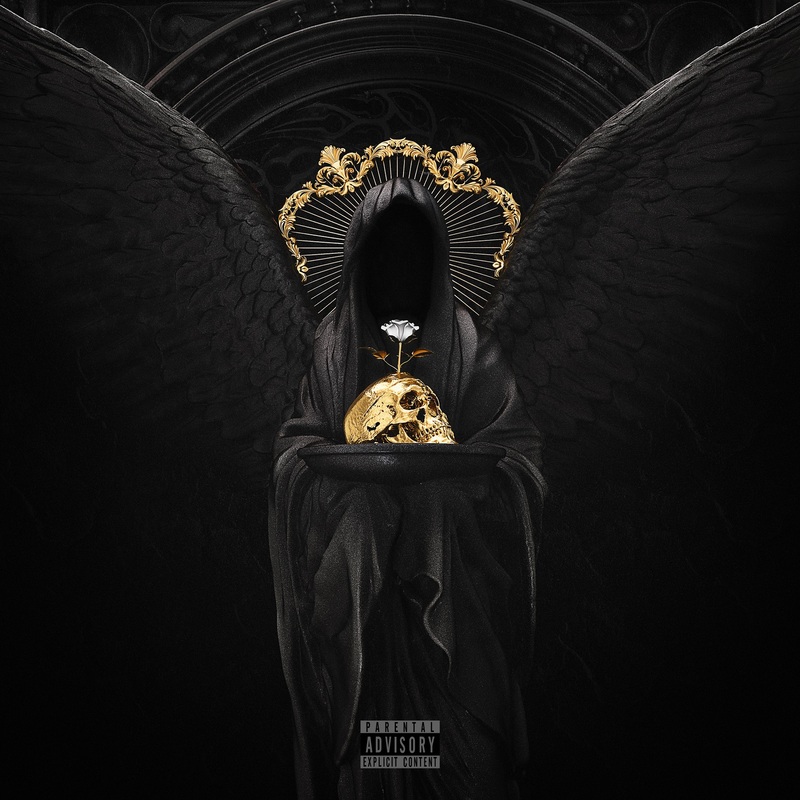 As one-third of powerhouse trio Bliss n Eso, Esoterik (aka Eso) has become one of the most distinct voices in the modern Australian hip-hop scene. ‘Stay Fly’ is a call to embrace what makes us unique, no matter where we come from. Charged by a cool indifference rather than anger, the track strips back the pace, but not the intensity. As one-third of hip-hop powerhouse Bliss n Eso, Esoterik (aka Eso) has become one of the most recognisable voices and loved personalities in contemporary Australian music. Esoterik reveals raw new single ‘Wide Awake’, a progressive and poignant track that shines a spotlight on the influence of technology consuming every day society. Featuring Sydney MC imbi the girl and Indianapolis’ Spazzy D delivering a special verse, the message is clear - it is time to wake up. One-third of hip-hop powerhouse Bliss N Eso, Esoterik (aka Eso) has become one of the most recognisable voices and loved personalities in contemporary Australian music. Sydney trio who continue to push not only themselves, but hip-hop, forward in Australia. ‘Moments (feat. Gavin James)’ reflects on those special moments growing up that we’ll never forget, celebrating the carefree days that shape our youth. Featuring award-winning, Irish singer-songwriter Gavin James and produced by Styalz Fuego (Peking Duk, 360, Illy), Charlie Handsome (Drake, Mac Miller) and Nic Martin (Urthboy, Drapht). ‘Dopamine’ features stunning vocals from rising Sydney artist Thief alongside some of the most candid verses ever laid on a track by the group’s two MCs, detailing some of the personal demons they’ve been battling with. NZ-bred, Melbourne-Based electronic production duo, who also happen to be twins. Crafted during one moody European winter while longing for the hot summer nights of memories gone, the girls employee the aid of their close friend Maribelle, who provides the vocal guidance to what is a very sultry trip. Themes of lust, addiction and desire pepper the beautiful track throughout. Melbourne 4-piece return with the first new taste of their forthcoming EP. ‘We Are Affected’ is their first splash of new music since 2013’s critically acclaimed Heirs & Graces. The new track, lifted from their forthcoming (as yet untitled) EP, is a late-night jam, with a seratonal bassline and a vocal performance that documents a personal breakdown and its aftermath. MayaVanya are a producer duo from Melbourne. With a distinctively moody aesthetic, ‘Rockets’ is both restrained and seductive. An ode to mindless actions and consequence, this track is a sublime slice of minimal 2015 electronic music – difficult to categorise but very easy to love. ‘Golden Dream’ was produced by Spiderbait’s Kram, who is also producing the follow-up to Stonefield’s acclaimed self-titled debut album. Released in 2013, it featured the singles ‘Put Your Curse on Me’, ‘C’mon’ and ‘Love You Deserve’, and was named Rock Work of the Year at the 2015 APRA Awards. Melbourne psychedelic outfit Lurch & Chief are Lilibeth Hall, Alexander Trevisan, Hayden Somerville, Brendan Anderson, Joel Rennison and Josh Lane. Written in Halls Gap with long-time collaborator (Count) Lindsay Gravina, ‘Echo’ is the six-piece’s second single from their sophomore EP ‘Breathe’. This single treads a fine line between psych pop and the stoner swirl sound that Lurch & Chief are becoming so well known for. Following the release of their third studio album and 2013’s Rest Assured, Melbourne duo DIAFRIX have come back with a bang, serving up a fresh new tune 'The Sign'. This is a new phase for dynamic front men Momo and Azmarino, who really wanted to reconnect with the soul of what they love about music. “We wanted to take it back to the basics, so we brought the band in… drums, bass guitar, a beautiful old piano"
An effortless indie-pop gem that soundtracked the beginning of summer across triple j, community radio and the blogosphere, ‘Everything You Wanted’ remixed by legendary Japanese producer Ta-ku, turns things up a notch. 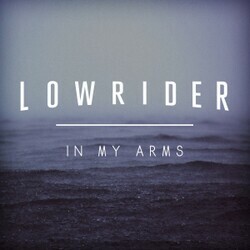 With impossibly smooth, effortless vocals juxtaposed with an honest, gritty ensemble of beats, bass and keys, Lowrider create an immaculate fusion of soul, funk which truly transcends time. Soaring vocals, heartfelt lyrics and dramatic production dominate this incarnation of ‘In My Arms’ - once a simple, serene ballad is now transformed into a monster pop record just in time for summer. 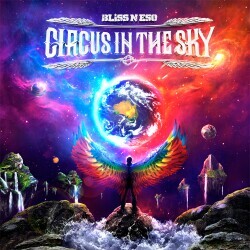 With an unprecedented live presence and the a huge and loyal music fanbase, Bliss N Eso release their fifth album ‘Circus In The Sky’ in June 2013. ‘My Life’ is one of the trio’s most anthemic, uplifting singles to date, featuring guest vocals from US singer-songwriter Ceekay Jones who the band became close with on recent North American tours. This year Owl Eyes released her debut LP 'Nightswim'. Released this month is the Nightmixes EP featuring 8 Owl Eyes tracks remixed by some of the worlds hottest electronic artists. The Aston Shuffle remix Owl Eyes pop track track Golden Lies. A remarkably deep, ultra-modern, vibrant collection of remixes not only showcases Brooke’s signature pop sensibilities and sublime taste, it firmly establishes her as one of music’s brightest and most innovative songwriters. 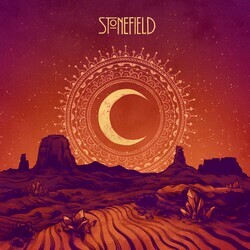 Known collectively as hard-hitting alt-rock four piece Stonefield; Amy, Hannah, Sarah and Holly emerge from the studio with their long awaited self-titled debut album. Fresh from the release of their self-titled album, Stonefield next present 'Love You Deserve', the anthemic single from the band's defining debut. The four sisters deliver another banging single with big riffs and a sing-a-long chorus primed for summer radio and the upcoming festival season. 'Rest Assured' is the sublime comeback single from Diafrix, a serene and refreshing return for the Melbourne duo. Coming off a guest-heavy second album (2012's acclaimed Pocket Full Of Dreams), 'Rest Assured' is entirely self-produced and performed, relying heavily on the duo's core strengths - poignant storytelling, aspirational ideals, warm, melodic hip-hop production and soulful undertones. Momo's heartfelt vocal appearance on the song's hook best demonstrates the latter. The Melbourne (via Cape Town) five-piece have been the subject of much worldwide chatter and been labelled as one of the hottest young prospects from this corner of the world. Clubfeet take things up a notch with the disco-laced dancefloor filler ‘Cape Town’. Accompanied by a surreal video clip filmed in the city itself, ‘Cape Town’ is part emotional breakdown, part shimmering late night sweat-out. Being dumped has never felt this exotic. Born from the Melbourne suburb of Footscray and comprising two frontmen, Momo and Azmarino, both of whom are African refugees but have lived through struggles which are worldsapart. I'm A Dreamer is quite simply a message of positivity over everything, an eternally optimistic anthem in both its sonics and lyrics. 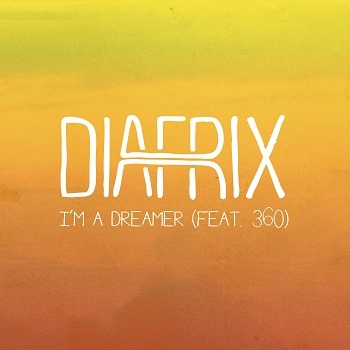 The piano driven beat provides a home for Diafrix¡'s hard knock tales, 360's post-success narrative and one hell of a catchy group chorus. Owl Eyes is Melbourne fantasy-pop singer and songwriter Brooke Addamo. 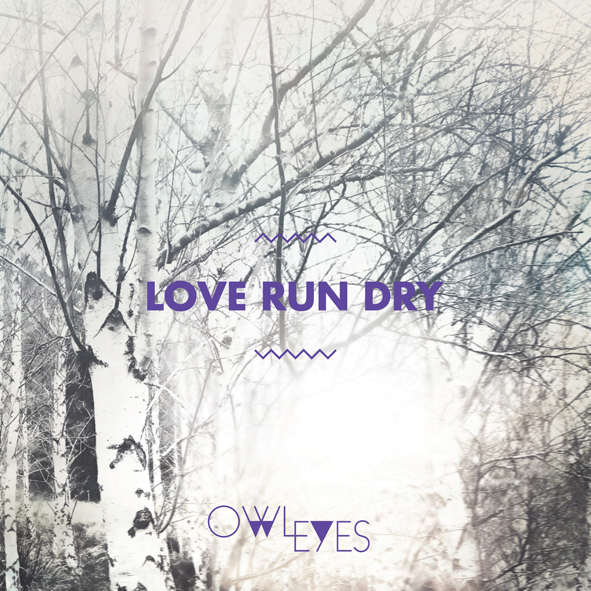 Layers of lush orchestral strings and haunting choir vocals surround the driving, shadowy beat courtesy of Jan Skubiszewski to give Owl Eyes the kind of stirring track her voice has not yet been heard with, the cryptic lyrics adding further intrigue. A thrilling start to her new campaign.